Imogen’s exceptional client care skills allow Imogen to guide clients through the often daunting court process in a way that they immediately know that they are in safe hands. Imogen specialises in criminal law and takes on a full range of cases, both privately and legally aided, from complex drug matters, sexual offences and murder. Through her career she has gained an excellent reputation in her home town of Leicester that has now spread across the UK. 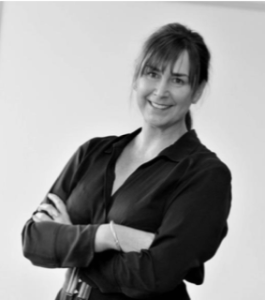 Jointly heading up the Cartwright King Motoring Law department, Imogen has a proven track record of protecting client’s driving licences, even in the most challenging and complex cases. She has defended in a number of cases involving fatalities and also has extensive experience in representing clients in Inquests. Instructed by a number of large insurance firms, Imogen has been described as “the advocate of choice for those in the know”. She is often asked to speak on the motoring law and was a guest speaker at the National Conference of Approved Driving Instructors National Joint Council in Dudley. She has often appeared on national and local radio as an expert on a variety of matters either commentating or explaining court decisions or sentences or matters such as anonymity in sexual offences, as well as motoring matters. Imogen is also well versed in dealing with the press, in matters which attract the national and local media interest. Imogen’s combative yet compassionate qualities mean that she has dealt with a number of clients with unique difficulties and mental health problems, particularly those with ADHD. Her work in that area led to her addressing the National ADDISS conference in London on ADHD and the law. She was the President of Leicestershire Law society until May 2017 and sits on the criminal board sub-committee.